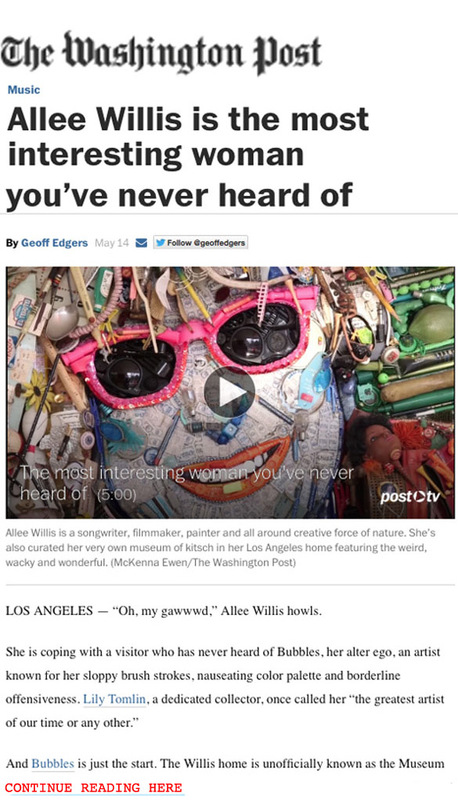 In case you haven’t read it, the title of this post is in reference to the if-I-do-say-so-myself-despite-a-few-tiny-inaccuracies-great-and-rather-large-piece-on-me in last Sunday’s Washington Post. In current news, I will be taking to the stage in LA again for the first time in over a year, actually the first two times, as there are two impending opportunities for me to regale you with my most humiliating show business stories and watch the audience remember my lyrics better than I do as we sing-along to some of my greatest hits! First, I will be performing my infamous poolside with Sammy Davis Jr., Elizabeth Taylor slab o’ ribs story as well as a retelling of the single most ego-numbing, dignity-deprivation moment of my career, the Phoebe Snow/Paul Simon “I’m so f%#king hungry and yes, you’re Still Crazy after all these hours” story at Beth Lapides’ I’m With The Band (sorry, Pamela DesBarres who HAS been with the band!) evening at the Skirball Center, Friday night, June 5. It’s rock & roll comedy told by very funny people like John Riggie (30 Rock, The Comeback), Greg Behrendt He’s Just Not That Into You), the lovely Moon Zappa (Curb Your Enthusiasm, America the Beautiful) and, of course, ME, featuring stories about some of music’s biggest legends and presented lounge-style with cocktails and snacks available for purchase. Tickets here. 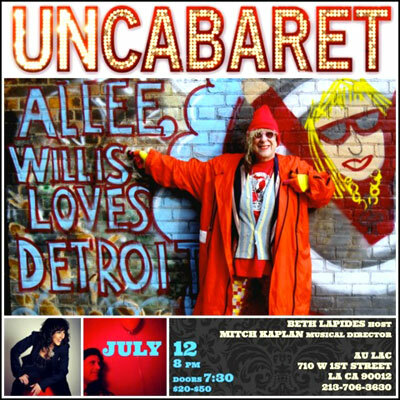 Then on Sunday night, July 12, it’s big ol’ party time when the illustrious Andrae and I + band hit the stage for a wild, so-affordable-it’s-crazy fundraiser for my Detroit-inspired record, video and feature length film about human spirit, “The D”/ Allee Willis Loves Detroit”!! Featuring a sneak peek world premiere of the record and video with more people in history than have ever been the original artist on a record, joined by some of the biggest stars to ever emerge from the Motor City. Also sing-alongs to some of some of my fattys like “September,” “Boogie Wonderland,” “Neutron Dance,” and the Friends theme, as well as auctions from the legendary Allee Willis Museum Of Kitsch collection! 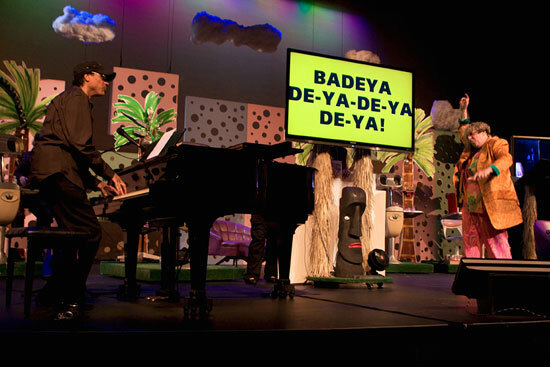 Many more surprises at this outrageous multimedia live feast for the eyes, ears and soul!! Tickets, thankfully going fast, are here. And last but far from least, we are making fairly stunning progress on “The D” record and video, both of which are in the area of 85/90% finished. We are constantly diverted from the filmmaking mission having to prepare things like a marketing deck and a movie trailer so we can all stop eating up to the green edges of our food and raise some real money to get this car on the road. But I must admit, despite the financial deprivation – PLEASE COME TO THE BENEFIT ON JULY 12 – we are all having the time of our lives working on something this creative and worthwhile. All we do is laugh, and all we do is feel better and better about what we’re doing every time we look at the joy pouring out of Detroiters eyes, mouths and hearts as we pull everything together. 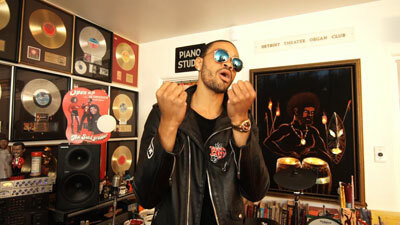 Exciting news on “The D” song front is that Detroit’s own Maejor, an artist with hundreds of millions of YouTube views and the smoothest voice this Motor City side of Marvin Gaye, is the latest superstar to add his voice to the record. 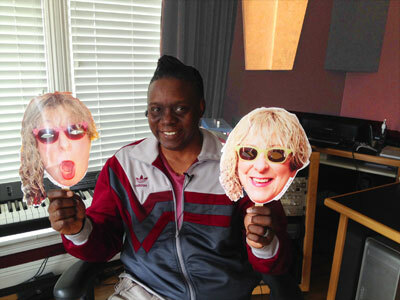 Plus recent interviews for Allee Willis Loves Detroit, the film, include the multi-seriesed Michael Patrick King, the shy and retiring Jenifer Lewis, the demure Sandra Bernhard, and Earth, Wind & Fire’s stupendous Philip Bailey, among illustrious others. Onward, Detroit! And remember to gimme some gas money on July 12 or pop it down here if you’re in generous spirit and unable to attend. Categories: "The D", Allee Willis Loves Detroit, Animation, Art, bad art, Bubbles the artist, Celebrity, Clothes, Creative process, Creativity, Del Rubio Triplets, Detroit, Disco, Discography, Earth Wind & Fire, empowerment, Families, Fashion, Film, Friends theme, Hats, Hollywood, Kitsch, Kitsch O' The Day, Memorabilia, Music, Neutron Dance, Party, People, Reality tv, Self expression, September, Social networks, Songwriting, The Allee Willis Museum Of Kitsch at AWMOK.com, The Color Purple, Theater, video, What Have I Done To Deserve This? Allee Willis’ Soul O’ the Day – Finally, VIDEOS From My Live “Super Ball Bounce Back Review”!! 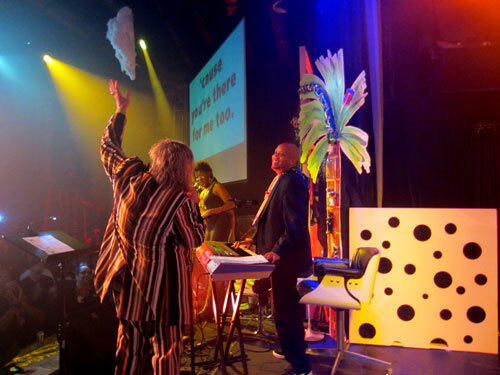 On May 8 and 9, 2012, I took a giant leap in my evolution and broke through an almost 4 decades-long bout of stage fright, performing two sold-out performances of my Super Ball Bounce Back Review, a combo concert/sing-along/party extravaganza at King King in Hollywood. Allee Willis’ Kitsch O’ The Day – My “Super Ball Bounce Back Review” Is the Biggest Bounce I Ever Had!! Ideally I would’ve had a shitload of photos and videos to post already after my – I’m not too proud to say – sold out SMASH shows at King King in Hollywood this past Tuesday and Wednesday nights. But, alas, as I’m everything from the star of the show to co-producer, co-director, set designer, maker of all souvenirs and handouts, MC and anything else that’s involved in putting the show together, just getting everything unpacked and trying to make up for the total 6 hours sleep I got in the last week means I won’t get any serious documentation up before next week or so. But here are a couple videos that my assistant Dina, on stage with me at all times, shot on my little Canon Elf. I only have them up on Facebook so hopefully you can see them there by clicking below. 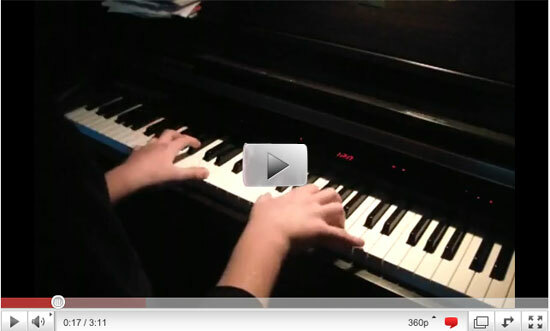 Didn’t want to put anything up on YouTube yet as I want to wait until I have the real footage. SO way way wayyyyy more coming in weeks to come, with at least photos hopefully by Tuesday. 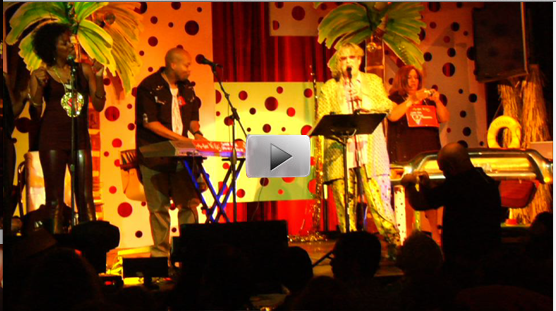 Allee Willis’ Kitsch O’ The Day – Dinner And Neutron Dancing With CHARO! I’m sure any kitsch lover has a similar dream – having dinner with the kitschy-kitschy-cuchi Charo and bonding like you have been best friends for 30 years. Such was my evening at composer Pietor Angell’s pad with the aforementioned singer, actress, Flamenco guitar virtuoso, CHARO! 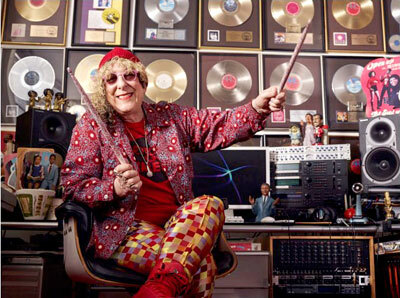 Allee Willis’ Kitsch O’ The Day – Have a most happy 21st of SEPTEMBER!! 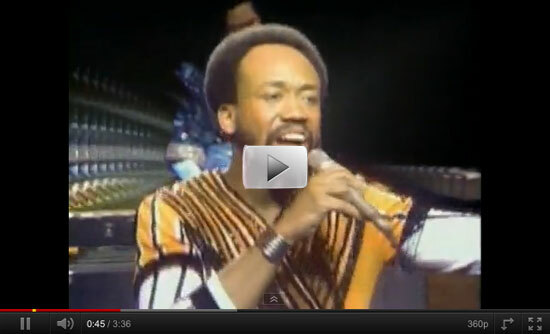 Needless to say this is a very special day for me, like an extra birthday a year, as it’s the opening line of my very first hit song – “Do you rememba the 21st night of Septemba?”- and my favorite of my hits to boot! So I hope everyone is having a very blessed and happy 21ST OF SEPTEMBER!!! And listening to the record a lot! I LOVVVVED conducting! I hope that’s evident in this clip. I’m grateful I got the footage I did though I’d planned to have at least five times as much of it to edit from. But as the journey below illustrates, the path was a little more crooked than I’d anticipated though well worth every swing of the drumstick! In this Lego Star Wars recreation, “The galactic civil war is finally over and peace has been achieved. The surviving members of the Empire have reconciled and joined the party. But what to do in this time of happiness? DANCE!! 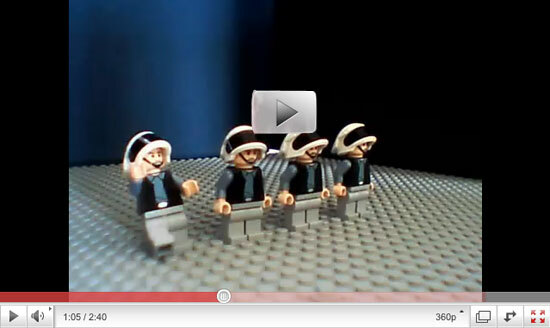 !” This stop motion dance fest proves that Fenderboy105 is a better Lego builder than choreographer, though his attempts are noble. The little Star Wars cast does their thing but without any sense of rhythm or editing to accents or tops of verses and choruses, the kind of things dancers wait for to spike their expression. An admirable effort to be sure but with a greater musical sense this could’ve elevated to a higher universe.